come stay and express your creativity amoungst friends! An Domhan Iliocht ; an – pronoun: to be, Domhan – place, world, domain,.. iliocht– infinite combination, multi form, of many different ways, diversity. An Domhan Iliocht is a grass roots colaborative arts space and campground aiming to promote an artistic and creative environment in which people may visit to experience a multitude of skill sharing. These skills may include art exhibitions and creation, workshops, musical projects, organic gardening techniques, theatre, building projects-(both structural and artistic), yoga, renewable energy workshops, pagan practices (including shamanistic journeying, Handfasting, and celebrations of the solar and lunar festivals of the year wheel), and much more. An Domhan Iliocht encourages visitors to experience a mixture of “old world” Ireland and modern Celtic traditions. 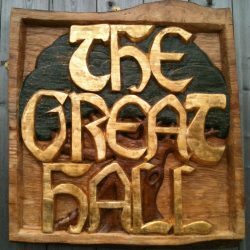 Thru storytelling, traditional Irish music, hill walks thru breathtaking landscapes and fireside socialising, where you can teach and learn of the many different paths and skills people have to share. An Domhan Iliocht is available to serve as host for private events such as weddings, small festivals, team skill building weekends, workshops and classes, private parties, and a multitude of occasions in which an inspiring setting is essential to the completion of your “great work”. An Domhan Iliocht offers “cabin” accommodation for up to 14 people as well as camping fields for much more! There is a 12 metre. By 6 metre. Hall with a 4mtr. X 6 metre. Stage in it, in which you can hold talks, workshops, exhibitions, theatre events, music venues, and much more. There is also a car park, toilet facilities, a communal kitchen and dining room (basic food shop, cafe and catering available upon request). 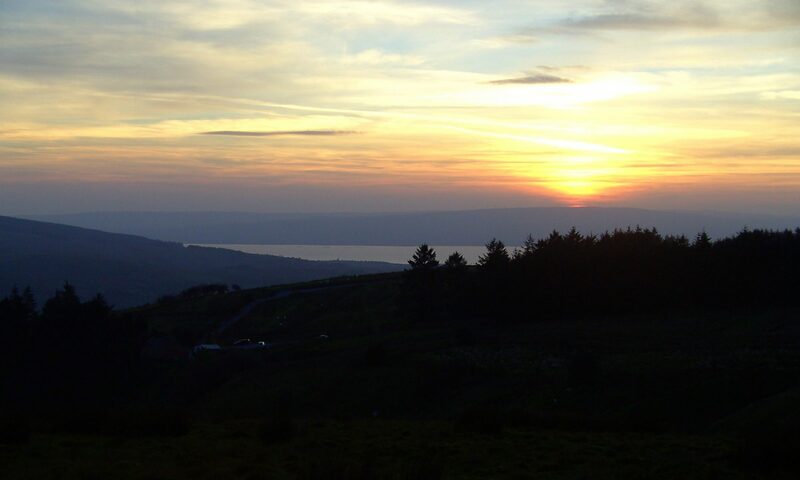 an Domhan Iliocht is ever expanding and growing, so in order to facilitate this growth with your influence, we offer a deal to small groups and individual visitors who wish to experience the beauty and inspiration of this amazing place for minimal cost holidays, this includes accommodation in exchange for a 3 hour work day!! Future goals include the creation of a sculpture garden and children’s play area, as well as more cabins, mural paintings, and an expanding organic veg. garden and tree planting. Come stay on a WWOOFers educational exchange to help us move towards these exciting projects. Please use out contact form to get in touch! At An Domhan Iliocht we recognise that every single individual has a skill special unto themselves and we encourage you to express that in your own unique way! The world around you (and us all) will thrive at the expression of such individuality! So please feel free to contact us with inspiring ideas, critique, or just to let us know what you think of it all, or even better, come visit us to help out or just bask in the creative force that is our existence!!! We hope to see you all at some stage soon!!! Blessed be! Escape to the Irish wilderness with friends!